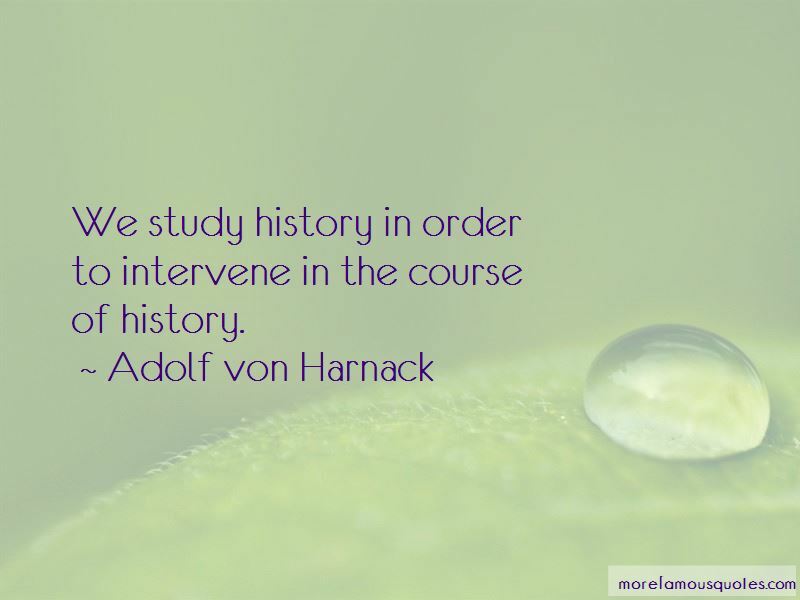 Enjoy the top 2 famous quotes, sayings and quotations by Adolf Von Harnack. We study history in order to intervene in the course of history. People complain that our generation has no philosophers. They are wrong. They now sit in another faculty. Their names are Max Planck and Albert Einstein. Upon appointment as the first president of the Kaiser Wilhelm Society, Berlin, formed for the advancement of science. Want to see more pictures of Adolf Von Harnack quotes? 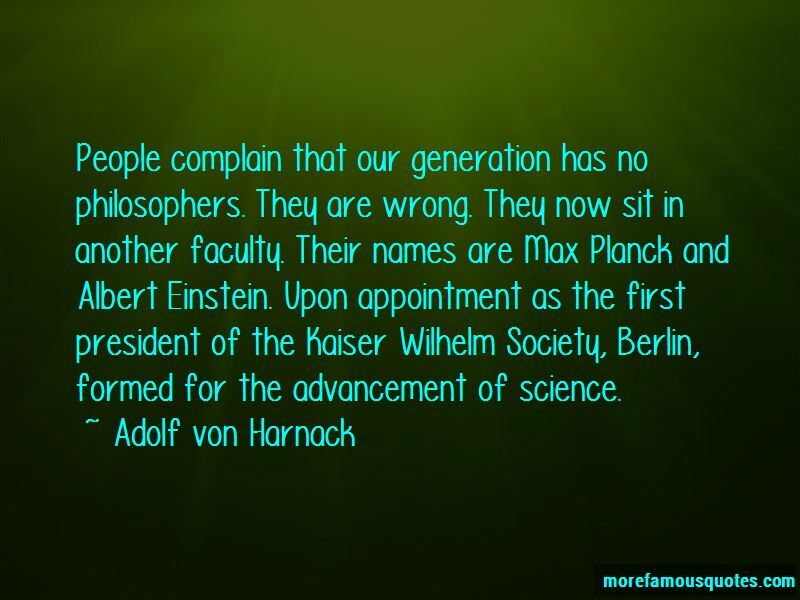 Click on image of Adolf Von Harnack quotes to view full size. “Love is about giving, about caring for the other persons welfare. Love is treating someone, in the Kantian sense, never as a means” — A.P.